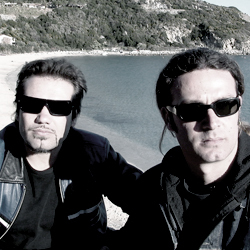 Stefano Baldetti and Luigi Carotenuto were born on the pearl of the Tirrenian Sea, the Island of Elba, 33 years ago. Being largely a summer resort, island the winter off-season offers little in the way of distractions for young people. As a result of this these two young men looked for a more stimulating pass time than the usual ones of fishing and endless card games. This search brings them into their first contact with music, which as time goes on and their appreciation and skill advances, slowly seduces them willingly until they are completely enamoured by it. Stefano eventually gets onto the Islands live music scene and thanks to his indubitable talent and his deep blues style voice make him a hit in many of the islands trendiest club’s. Louis K, Luigi’s stage name, instead expresses his love for music through becoming a Dj. After acquiring his first set of decks with money made during the summer he begins to master them using records he “borrows” from his cousin. Before long he was a Deejaying regularly at many of the islands hottest clubs. Both had a determination to continue with their dream and ignoring their sneers of their fellow islanders who view with suspicion anyone who tries to break out and rise above the usual provincial mediocrity, persevered. 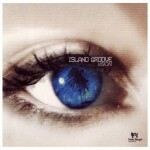 Growing up together on this idyllic island, playing football together, enjoying the beach and drinking together in many of the islands bars, produced an artistic synergy which resulted in their first creation “GROOVE ISLAND”. Under this label they released their first track ‘Tonight’ which achieved some degree of success in Italy and overseas, such as the Uk, Usa and Germany. Having wetted their appetite they release their second track ‘Sleeping Time is over’ with much the same success. Now the bug has definitely bitten them. They also realise that Elba is not near enough to were the real action is and its time to make the big leap. So they pack their bags and armed with little more than a willingness to learn and a good dose of humility they head for Milan, internationally renowned city of commerce, fashion and music. Once they have sorted out their accommodation they start doing the rounds of all the top recording studios in search of a job. Their aim is to learn all they can about the music business, a good complement to have beside their natural talent. They begin work in one of Milan’s most prestigious recording studios were they fine tune their musical ear and hang out with internationally famous artists, giving them a rare insight into what it takes to be successful. Now they release another track, ‘Deep Love’ in collaboration with Keith Thompson and a mini Lp of Deep House tracks called ‘Ep One’. They also gain further experience creating the track for the Renault Laguna Ad and even win a prestigious award for it. They remix 3 Forrest for the Trees’, ‘Constance and ‘Corona - The Power of Love’ while Louis K plays many of the trendiest venues in Italy. They never loose sight of their objective of producing their own album though. By saving money and slowly buying the necessary equipment they manage to set up their own modest recording studio in the basement of their apartment. These years have grown and fine-tuned their musical talent and now the moment has arrived to record their first album. A year’s worth of work, of blood, sweat and tears. A year’s worth of sleepless nights, doubts and worrying. A year’s worth of highs and lows. But the two strong willed guys never give up. This is their dream and it’s about to come true, with the help of a few trusted musician friends. ‘Vision’ is the result. Their journey from old school to new has, for the moment come to its conclusion. The music is more mature, a fusion of genres till you arrive at new sound of Downtempo Electronic and Deep House Jazzy. Vision the musical transposition of far away memories, intense feeling, and an odyssey of vibe, a virtual world were you can but loose yourself, a deep feeling not easily forgotten.